Treat yourself to more time in Spain this Memorial Day Weekend when you reserve your space early to skip the overnight bus ride and instead fly to Barcelona! Flying from Kaiserslautern to Barcelona will allow you to arrive in Spain before the bus trip has even departed, and after a short transfer to your 4 star wellness hotel and spa on the promenade in Santa Susanna, you will find yourself across the street from the 75 meter wide gold sand beach, ready to start soaking up the sun. 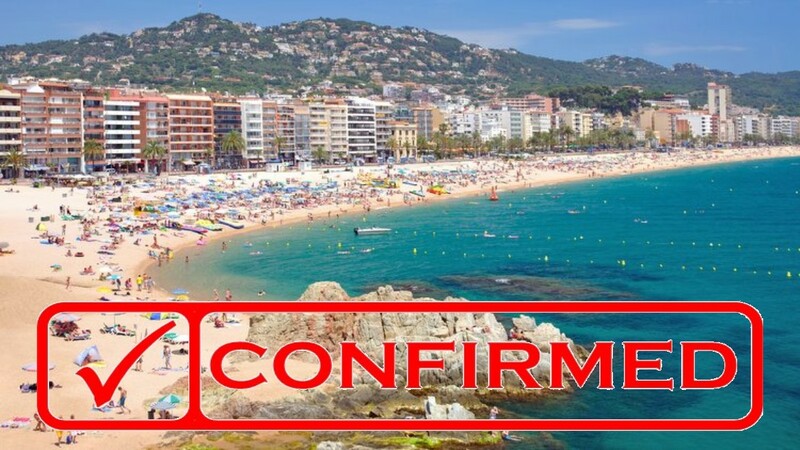 Santa Susanna and the Costa Brava region offer tons of recreational options, ranging from snorkeling and scuba diving to sea kayaking, or just laying on the beach, and the extra time made available by flying to Barcelona will let you participate in all of them! Once the sun sets, there is plenty of party going on in Santa Susanna where you have your choice of countless bars, restaurants, and discos. An optional day trip to and guided tour of Barcelona is also included, after which you can return to the beautiful beach, or remain in Barcelona for the evening. Spaces on this air travel special are limited and only those who reserve theirs early will get one. Why drive when you can fly with Kaiserslautern Outdoor Recreation? Reserve yours today! The Air Ticketing deadline has passed and new registrations are based upon the individual daily rate of the airline ticket which is subject to daily price increases. Prices listed below are the starting rate before any airline suppliments. To speed up your registration process, download and complete the reservation packet (.pdf) before you contact Kaiserslautern Outdoor Recreation to reserve your space. Cancellations initiated by Kaiserslautern Outdoor Recreation will be fully refundable. In addition to the standard 10% ODR cancellation fee, customer initiated cancellations made for any reason on or after Wednesday, March 13 may be assessed a cancellation/name change fee by Lufthansa. This fee and any other 3rd party fees are not refundable by ODR under any circumstances. Kaiserslautern Outdoor Recreation strongly recommends purchasing travel insurance from a licensed vendor for this trip. Travel Insurance is available from USAA, ADAC and many credit card providers.